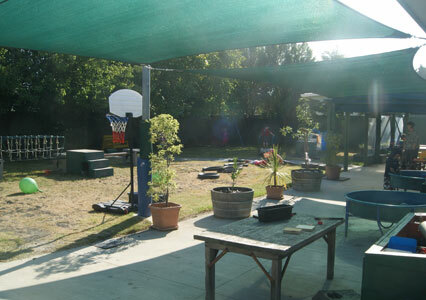 You’ll find our kindergarten in a quiet cul-de-sac right next door to Parkview Primary School. 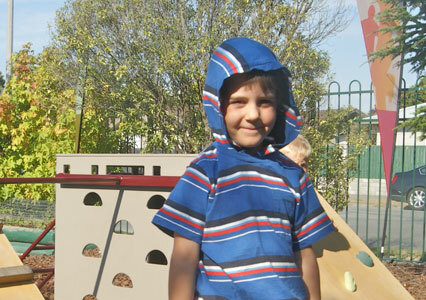 Ngā kaiako (teachers) here at Kidsfirst Kindergartens Parklands are responsive to the interests, strengths and capabilities of all children aged 2 – 5 years. We get to know our children and their whānau well, fostering respectful relationships to help and support our tamariki succeed with their learning. Children at our kindergarten learn in an environment and philosophy that values and supports uninterrupted and sustainable play. Teachers use rich language to provoke and inspire children to develop their problem solving skills, and engage within their learning environment. Children are seen as risk takers and strategic thinkers, confident and capable. A strong sense of Manaakitanga (caring and respect) and Whanaungatanga (family, relationships, history, traditions) are central to the culture that is Kidsfirst Kindergartens Parklands. Indoors, Kidsfirst Kindergartens Parklands has a homelike feel. Children aged 2 – 5 years can access a range of resources that are carefully and intentionally presented to evoke thinking and exploration. Learning occurs in all spaces at the child’s pace. This is an environment supportive of the mana, wairua and mauri our tamariki bring when they come to us. Tamariki are encouraged to be mindful and in awe of the world around them, and respectful of the environment they play and learn in. Our outdoor environment, surrounded by well-established trees, is a natural space that provides lots of opportunities to try new things, inspire curiosity and develop creativity through play. We work to provide an atmosphere full of fun in an environment that gives our children independence and sense of belonging. We foster sustainable practices both within the kindergarten and in the community to create a passion for care and respect of the natural world, promoting kaitiakitanga (guardianship) of our world. Children have the opportunity to learn about and care for the natural environment and the living world through exploration, curiosity and hand-on experiences within the garden and on our regular excursions to Bottle Lake Forest. Our unique setting gives us access to explore Bottle Lake Forest, where we focus on supporting children to challenge themselves, work with others and develop leadership skills while also placing an emphasis on risk taking, self- management and confidence. We have a close partnership with Parkview School with regular visits both at the school and from new entrant teachers to the kindergarten, supporting the transition to school for you and your child. We join in with the Parkview Kapahaka group, and we visit the library there often. We have an ‘open door’ approach at Kidsfirst Parklands - whānau are welcome to stay at any time. The notion of community and connectedness is important here, it’s at the heart of what we do. We value the relationships we build with our whānau/families, and look forward to making new connections, embracing the multiculturalism and diversity of our community. Our families, past and present, are an important part of our kindergarten life. We value this greatly and we encourage family/ whānau to visit and take part in their child’s kindergarten day, sharing your skills and culture too. 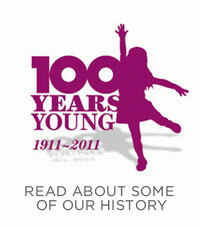 We also understand the pressures on working parents – there is no pressure for you to stay. You can be involved whenever it suits you. 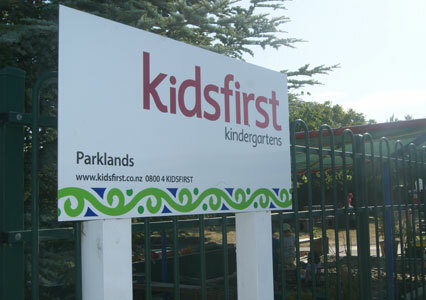 Kidsfirst Kindergartens Parklands operates for six hours each day, from 8.30am – 2.30pm. This works really well if you have older children going to school as you can do the drop offs and pick-ups at the same time. We would recommend that you enrol for at least two full days –building up to five days. This gives us, the teachers time to get to know your child and provides consistency around supporting their learning. Come in any time, we are very proud of our unique learning environment and would love to show you around. Kidsfirst Kindergartens Parklands is a wonderful place to learn!